Shoji Meguro is a composer and director at Atlus best known for his work on the Megami Tensei series. Born in Tokyo on June 4, 1971, Meguro became familiar with technology from a young age, given his parents owned a small family-run factory. Given his passion for technology, it was only natural that his interests extended to electronic musical instruments. When four or five, he was encouraged by his mother to learn the Electone organ and also went on to learn the trombone. As a child, Meguro wasn’t fond of mainstream music and instead listened primarily to the classical music of Beethoven and Tchaikovsky. The themes for several film and television programs also left quite an impression on him, and he went on to interpret such scores on Electone. The artist’s tastes diversified during junior high school. He grew to enjoy jazz fusion artists such as Herb Alpert, Casiopea, and T-Square; although distinct from his current musicality, he gained long-term inspirations from their smooth melodic songs. He even started to warm to J-Pop. While Meguro wasn’t particularly academic, particularly struggling at maths, he became very passionate about playing music. The artist intended to continue to playing the trombone at high school, even choosing his school based on their brass band activity, but felt disappointed with the results. His best friend convinced him to focus more on performing the synthesizer and guitar instead. Meguro intended to form a band with his friend and started composing poppy songs, but couldn’t find a vocalist. He also received an early personal computer and became addicted to using it to play games and program his own titles. Although it wasn’t until his later years that he became particularly proficient, his programming experience proved extremely useful when he came to eventually write music for video games. However, he wasn’t a console gamer and didn’t own a Nintendo Entertainment System like most of his friends. After graduating from school, Meguro took a mechanical engineering degree at university. He kept composing music there and, after finally finding a female vocalist, participated in the bands Aardvark and Foggy Gift for four years. Though a guitarist for both bands, Meguro rarely felt the need to practice and so didn’t become a proficient performer. His attentions were more focused on programming once again and he started to encode a game every week. Nonetheless, he hoped to one day become a professional musician, despite his parents’ objections. Later in his college course, Meguro became more academically motivated. He finally gained a passion for maths and, having been interested in Formula One since high school, flourished studying hydrodynamics. He increasingly wanted to pursue a career as a car designer rather than professional musician. To give him more opportunities, he decided to major in hydrodynamics at the graduate college in the College of Industrial Technology at Nihon University. In order to fund this course, he transcribed songs for karaokes. In the midst of his studies, he realized he couldn’t find a job in a major tech-related company due to Japan’s long recession and went on to search for stable salary jobs in various other fields. He know there was a demand for more game composers through his best friend, but feared that his musicality couldn’t be fully expressed on the Super Nintendo. When consoles with CD media such as the PlayStation were released, Meguro started to reconsider becoming a game composer as a career option. After all, it seemed an ideal way to gain stable employment while pursuing his passion for music. During the job-hunting process, he applied to many game companies, but failed at many interviews due to his lack of knowledge about console gaming. After sending in a demo tape and participating in two interviews, he became employed by Atlus, despite knowing nothing about their major franchise Megami Tensei. 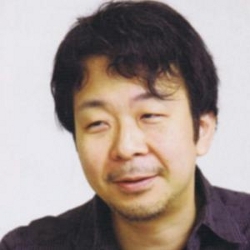 Meguro was initially assigned to co-compose the PlayStation’s Persona: Be Your True Mind. 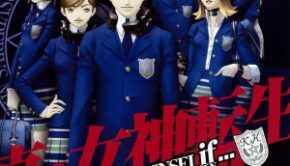 Even before formally being employed by Atlus, the sound director Hidehito Aoki asked him to compose an operatic aria for the game’s ending; it was so well-received that it has become a mainstay of the series as the Velvet Room theme. Once he started work at the office, he worked solidly for a year to meet various assignments and develop his own versatility, particularly in the series’ hard rock style that he hadn’t been particularly familiar with previously. In contrast to independent artists, he felt he couldn’t express himself freely while creating game music since it would disrupt the game. Instead he tried to put aside his ego as much as possible to create music that worked seamlessly in the background. He nonetheless channeled the emotions, whether anger, sorrow, or awe, that he felt while watching the visuals and reading the scenarios. In total, he composed about 16 tracks on that game, but he avoided taking shortcuts and put a lot of time and energy into each one. He was also responsible for some of the sound effects. He didn’t offer any contributions to Persona 2, though his rock-based vocal theme “Persona Rock” was a bonus track on the Persona 2 Eternal Punishment Original Soundtrack. Shoji Meguro overcame further challenges composing for the Dreamcast’s Devil Summoner: Soul Hackers. Composing about 50 pieces, he focused on portraying the cyberfunk feel and haunting atmosphere of the game by hybridising jazz and techno styles. Though the score was well-received by gamers, Meguro found the project tiring and felt dissatisfied with some of the end results; he had to compose music using samples of 100KB – 200KB in size and felt some of the end results sounded cheap. At times, his work was even indirectly mocked by the remixers who worked on the arranged version of the score. Meguro felt relatively liberated on the Dreamcast’s Maken X, both due to the opportunities for stylistic experimentation and the increased memory capacity of the internal sound source. Given the title was an action game rather than an RPG, Meguro felt it was appropriate to use a much harder style, blending techno and rock elements. He was also particularly proud of the ending vocal theme sung in a jazz style by Diana Leaves. The score was revamped for the PlayStation 2 remake Maken Shao, offering a more mellow sound overall and a greater focus on guitar rather than techno elements. Evidently, Meguro was quickly establishing a reputation as one of Atlus’ most talented musicians. Shoji Meguro became a leading composer for the first time with the high-profile PlayStation 2 release Shin Megami Tensei III: Nocturne. He tried to stay true to the stylistic concepts of earlier Megami Tensei titles by incorporating some retro touches, but avoided directly emulating the musicality of Tsukasa Masuko. However, he also tried to shift the style of the soundtrack towards orchestral and fusion sounds, while making the most of the console sound sources available to him. Throughout the composing process, he tried to express the emotions he felt while viewing the images from the game, for example directly composing the Baroque pipe organ theme “Tokyo Conception” as he watched the movie of the intended scene. 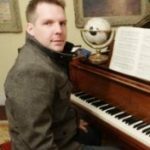 However, he still depended on trial and error for discovering music that work, for example conceiving the regularly integrated main theme of the game while composing inappropriate concept battle music. The artist also offered a more interactive and adaptive score than earlier Megami Tensei titles in order to reflect the events experienced by characters and the shifts in gameplay between stillness and movement. Meguro also produced a few new compositions for the enhanced version ’Nocturne Maniacs’. The title gave him overseas exposure for the first time, especially since Atlus enclosed a bonus soundtrack with the game. The turning point of Meguro’s career was the PlayStation 2’s Digital Devil Saga. This was the first project where he started working at an early development stage once the scenario was constructed. In the past, he felt he had to emulate the hard rock sound of traditional Megami Tensei scores, whereas he finally felt he was able to establish his own industrial-flavoured rock sound on this project. He also felt less restricted by technology given approximately half of the tracks were stramed for the game. He was more productive than ever on this project, noting that “I used to wait for the God of music to descend on me, but these days I just force him to come out, because there’s no time to be complacent”. His score consistently complemented the various scenes in the dark game and he also cinematically underscored the movie sequences. The artist also returned for the sequel, but took a rather different approach given the happier tone of the game. There were fewer atmospheric, sad, and gloomy pieces oozing with jazz and emotion. In their place were more upbeat, lively, and transformative pieces, but still with the edgy industrial style. The soundtracks for both games were highly marketable for both the promotion of the game and on a stand-alone basis, culminating in the release of a four disc compilation. In 2005, Meguro took a break from the Megami Tensei series in order to co-compose the short score for the DS simulator Trauma Center: Under the Knife. Immersive music was created to fit the various situations in the game, whether the relaxed yet cautious normal operating theme or the dramatic music used during a dangerous procedure. The composer took on another solo work the subsequent year with the PlayStation 2’s Devil Summoner: Raidou Kuzunoha VS The Soulless Army. Given the score was entirely streamed, he was delighted to finally be able to implement his music without making any technical compromises. He took a much stronger jazz focus than his previous score, as reflected by the main theme with its blaring trumpets and saxophone, though offered diverse funk, ambient, and rock tracks too. For a bonus enclosed album, he also rearranged ten of the Devil Summoner series’ tracks with his characteristic jazz and rock styles. Around the same time, he returned as the sound director for the collaborative score to the Wii remake Trauma Center: Second Opinion and contributed a rock-based cinematic opening theme for the otherwise externally composed MMORPG Megami Tensei Online: Imagine. Shoji Meguro’s music for the PlayStation 2’s Persona 3 transformed him into a star of the game music scene across the world. He developed a modern, sassy approach to the soundtrack largely as a result of chance; he created the funky vocal track “Mass Destruction” as merely a prototype battle theme, but the final result was so well-received by developers that he decided to pursue that direction further. Much of the rest of the score featured vocals, whether Yumi Kawamura’s upbeat pop vocals on “Burn My Dread”, Lotus Juice’s cool and aggressive rapping on “Deep Breath”, or Tomoko Komiya’s angelic operatic singing on the arrangement of series’ mainstay “Aria of the Soul”. Surprisingly, Meguro did not feel the heavy vocal usage was something innovative or special, since he had incorporated vocal themes into his earlier scores. Nevertheless, the soundtrack has since become a premiere example of a game score featuring mainstream stylings. His approach was clearly successful; while the game sold moderately well, the soundtrack appealed to so many gamers that it sold an astonishing 100,000 copies. Meguro returned to the project the following year to create additional tracks for the new chapter Persona 3 Fes. He also took the opportunity to revisit 12 of the most popular vocal and instrumental tracks from Persona 3 for the elaborate arranged album Burn My Dread -Reincarnation: Persona 3-. Meguro elaborated upon his successful pop-based approach on 2008’s Persona 4. Meguro offered an eclectic mix of genres throughout the soundtrack and elegantly blended them to create a distinctive sound. Many of the trademark features of Persona 3’s soundtrack were back, although there was a more retro sound. The vocal themes were once again major highlights and the composer created some of them early in the project to get an understanding of the psychologies of the central characters. For example, he portrayed the calm exterior of the characters in the opening theme “Pursuing My True Self”, while using the battle track “Reach Out to the Truth” to show their resolve to work through internal struggles. The vocal tracks were revised for sound balance and remastered for the best-selling soundtrack release. The artist’s music was also celebrated at Persona Music Live — a special concert featuring band and vocal performances of Persona favourites — at Akasaka Blitz, Tokyo in 2008. Meguro was closely involved in the production, appearing as a guitarist and guest-of-honour. Between such roles, Meguro also efficiently composed the score for Devil Summoner: Raidou Kuzunoha VS King Abaddon. While stylistically similar to its predecessor, the score featured heavier rock-based battle themes and portrayed the historical Japan setting with distinctive shakuhachi infusions. Meguro was promoted to game director for the PSP remake of Persona. Producers thought he would be excellent in this role, given his involvement in the original game, his previous experience as a sound director, and his strong vision for the Persona franchise. Although the original game was quite accomplished, he ensured the remake would PSP-compatible, improved the user interface, and introduced new dungeons and puzzles. Feeling that the original game had a dated sound, he also elected to revamp the soundtrack with a more pop-influenced approach similar to Persona 3. The samples and length of each track was carefully optimised in order to shorten the game’s load times. Released as a bonus with both the Japanese and Western game releases, the soundtrack release proved controversial; while many new fans of the series appreciated the individual sound, he faced an unparalleled backlash from series’ purists. The remake as a whole nevertheless received a warm critical and commercial response on its release in 2009. Following the strong reception of Personal Music Live, an expanded follow-up concert also occurred that year. Atlus released DVD and CD recordings of both concerts following popular demand, as well as several compilations and box sets of the original music for the series. In a further accolade, three vocal themes from Persona 4 were selected for Press Start -Symphony of Games- 2009. In the second half of 2009, Meguro wrote the entire score for Shin Megami Tensei: Strange Journey. On this project, Meguro entirely rejected the contemporary elements of the Persona series in favour of a more serious, mature orchestral approach to game scoring. The score combined militaristic orchestration, Gregorian chanting, and minimalistic ambience throughout to depict the cold environments of the Antarctic and the menacing storyline that unfolds. While his least accessible work, the soundtrack attracted considerable praise for its experimental nature and contextual effectiveness alike. In smaller roles, the artist also penned 25 minutes of new music for Persona 3 Portable — closing his involvement with the hit game — and contributed several evocative tracks on the collaborative score for Trauma Team. More recently, Meguro led the music production for the best-selling new IP Catherine. The soundtrack was highly reminiscent of the Persona series with its contemporary and pop stylings, but featured a more psychological focus and ethereal vibe befitting the game’s unique scenario. Also for the soundtrack, Meguro wrote the rap-based theme song “YO” and offered remixes of a handful of classical favourites. Meguro returned as game director for the successively released adaptations of Persona 2: Innocent Sin and Persona 2: Eternal Punishment for the PSP. These titles were enhanced ports rather than full-blown remakes, but offered technical upgrades and some new features. 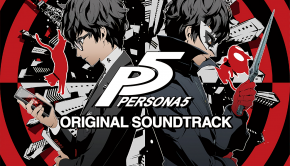 Given the controversy surrounding Persona’s soundtrack, players had the option to either listen to the original or remixed soundtracks for these titles. 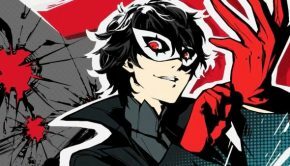 Meguro passed responsibility for the soundtrack production of the ports to Atlus’ newer employees Toshiki Konishi, Atsushi Kitajoh, and Ryota Koduka. In the past two years, Meguro has extensively revisited the storyline of Persona 4 with new scores. Gaining his first taste composing animation music, Meguro created the entire soundtrack for Persona 4: The Animation, released across the project’s successive DVD releases. The artist also created a range of new music for the PlayStation Vita remake Persona 4: The Golden and the fighting game spinoff Persona 4: Arena. In all three productions, Meguro stayed faithful to the concept of the original game’s score, while offering new vocal themes, instrumental tracks, and remixes that fitted specific aspects of their scenarios. The series’ music continues to be enjoyed by numerous fans through its album releases and, returning once more in 2012, live concerts productions. © Biography by Chris Greening (September 2007). Many thanks to PQTN for translation assistance. Last updated on January 20, 2013. Do not republish without formal permission.